Spring has sprung, and so has racing season. Honeysuckle Dental in Newcastle has been buzzing with pre-race excitement and we want to help our patients look and feel their best when they hit the track. 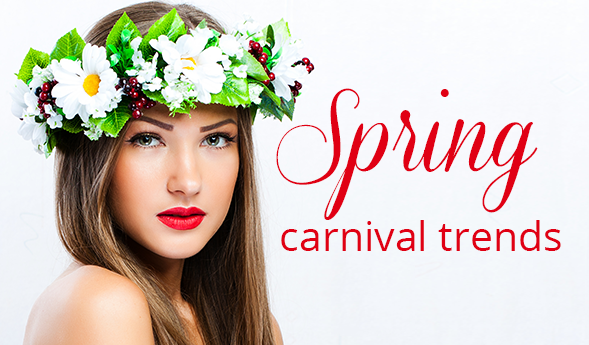 In order to keep up with the latest spring racing styles check out our trending beauty suggestions. For a floral fascinator with an on-trend twist, try a flower crown. Flower crowns have quickly become the must-have trend for the spring season, and with so many different styles available, you will be able to tailor this style to suit your own unique look. If you aren’t ready to don an oversized hat or fascinator, then the flower crown could be they stylish but subtle choice for you. 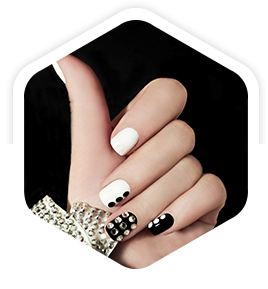 Most of the time, we suggest the ‘less is more’ notion; however when it comes to nail art on race day, we are all in. A hint of sparkle on your nails or a pop of colour can be the ultimate finishing touch to your race day outfit. When you’re planning to enjoy a long day in the sun, simple make-up is essential. While applying a thick layer of coverage that will last the day may make sense, ladies should consider the effects of natural light. While darker light can suit more dramatic makeup, daylight often suits more minimal makeup. Our team suggests that you choose one feature to enhance, such as the lips, and apply a subtle pop of colour to keep your make-up interesting. For the latest trends on the field, try metallic embellished accessories. We are talking fashion forward, liquid textures with a space age feel. Keep your outfit timeless by just featuring splashes of metallic on your shoes or purse. Don’t forget to bring along some Band-Aids for the long day ahead. It is also important to make sure that you have worn your shoes in during the days leading up to the event so they are as comfortable as possible. The essential accessory for every outfit is a beautiful smile. A gorgeous smile that you can show off and will never go out of style. At Honeysuckle Dental in Newcastle we are passionate about cosmetic dentistry which enables us to dramatically enhance the appearance of our patients’ smiles. For a quick enhancement we can provide our highly effective teeth whitening treatment and for more extensive smile makeovers we can use porcelain veneers to transform your smile. When it comes to a stylish and polished look, perfecting the little things counts. Your accessories, hair, make-up and teeth can have a dramatic impact on your overall race day outfit. In saying this, at the end of the day feeling great and healthy is often the look that best suits everyone. When you are looking good and feeling great you’re sure to have a glow that stands out on the tracks. To request a cosmetic dentistry consultation at our Newcastle dental practice please contact our skilled dental team today.